Beginning with Walter Bauer in 1934, the denial of clear orthodoxy in early Christianity has shaped and largely defined modern New Testament criticism, recently given new life through the work of spokesmen like Bart Ehrman. Spreading from academia into mainstream media, the suggestion that diversity of doctrine in the early church led to many competing orthodoxies is indicative of today's postmodern relativism. Authors Köstenberger and Kruger engage Ehrman and others in this polemic against a dogged adherence to popular ideals of diversity. Köstenberger and Kruger's accessible and careful scholarship not only counters the "Bauer Thesis" using its own terms, but also engages overlooked evidence from the New Testament. Their conclusions are drawn from analysis of the evidence of unity in the New Testament, the formation and closing of the canon, and the methodology and integrity of the recording and distribution of religious texts within the early church. "In the beginning was Diversity. And the Diversity was with God, and the Diversity was God. Without Diversity was nothing made that was made. And it came to pass that nasty old 'orthodox' people narrowed down diversity and finally squeezed it out, dismissing it as heresy. But in the fullness of time (which is of course our time), Diversity rose up and smote orthodoxy hip and thigh. Now, praise be, the only heresy is orthodoxy. As widely and as unthinkingly accepted as this reconstruction is, it is historical nonsense: the emperor has no clothes. I am grateful to Andreas Köstenberger and Michael Kruger for patiently, carefully, and politely exposing this shameful nakedness for what it is." 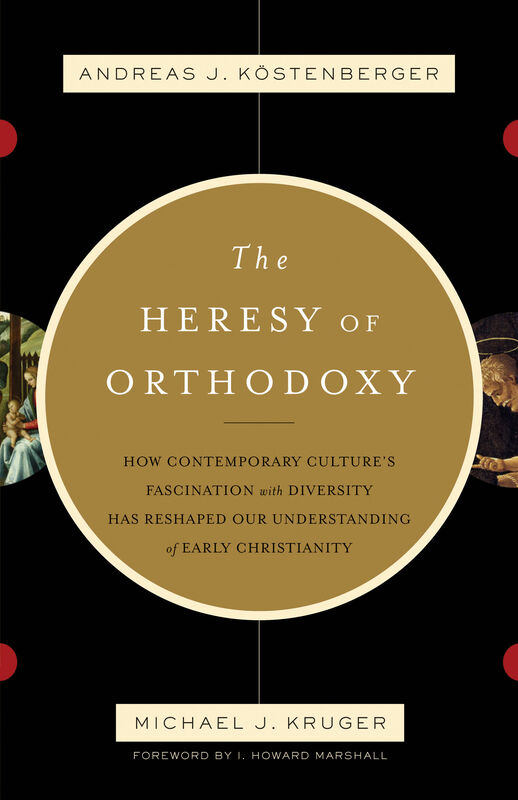 "The Heresy of Orthodoxy will help many to make sense of what is happening in early Christian studies today. It explains, critiques, and provides an alternative to, the so-called 'Bauer Thesis,' an approach which undergirds a large segment of scholarship on early Christianity. The 'doctrine' that Christianity before the fourth century was but a seething mass of diverse and competing factions, with no theological center which could claim historical continuity with Jesus and his apostles, has become the new 'orthodoxy' for many. 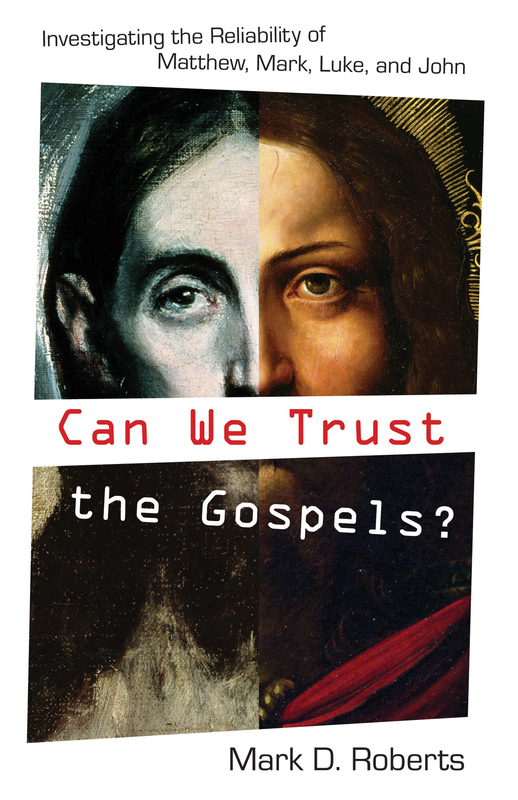 The authors of this book do more than expose the faults of this doctrine, they point the way to a better foundation for early Christian studies, focusing on the cornerstone issues of the canon and the text of the New Testament. Chapter 8, which demonstrates how one scholar's highly-publicized twist on New Testament textual criticism only tightens the tourniquet on his own views, is alone worth the price of the book. Köstenberger and Kruger have done the Christian reading public a real service." "The Bauer thesis, taken up in many university circles and popularized by Bart Ehrman and through TV specials, has long needed a thorough examination. The Heresy of Orthodoxy is that work. Whether looking at Bauer's thesis of diversity, at contemporary use made of the theory to argue for the early origin of Gnosticism, at the process that led to the canon, or what our manuscript evidence is, this study shows that Bauer's theory, though long embraced, is full of problems that need to be faced. What emerges from this study is an appreciation that some times new theories are not better than what they seek to replace, despite the hype that often comes from being the new kid on the block. It is high time this kid be exposed as lacking the substance of a genuinely mature view. This book does that well, and also gives a fresh take on what the alternative is that has much better historical roots." "This is an admirably lucid and highly convincing rebuttal of the thesis that the earliest form of Christianity in many places was what would later be judged as 'heresy' and that earliest Christianity was so diverse that it should not be considered as a single movement—a thesis first presented by Walter Bauer but most recently advocated by Bart Ehrman. As Köstenberger and Kruger show with such clarity and compelling force, this still highly influential thesis simply does not stand up to scrutiny. By looking at a whole range of evidence—early Christian communities in different regions in the Roman Empire, the New Testament documents themselves, the emergence and boundaries of the canon and its connection to covenant, and the evidence for Christian scribes and the reliable transmission of the text of the New Testament—they show step by step that another view of early Christianity is much more in keeping with the evidence. That is, that there is a unified doctrinal core in the New Testament, as well as a degree of legitimate diversity, and that the sense of orthodoxy among New Testament writers is widespread and pervasive. They also unmask the way contemporary culture has been mesmerized by diversity and the impact this has had on some readers of the New Testament. In this astute and highly readable book—a tour de force—Köstenberger and Kruger have done us all a great service. It is essential reading for all who want to understand the New Testament and recent controversies that have arisen in New Testament Studies." "Köstenberger and Kruger have written a book which not only introduces the reader to the problematic Bauer thesis and its contemporary resurgence, but which, layer by layer, demonstrates its failure to account reliably for the history of communities, texts, and ideas which flourished in the era of early Christianity. In their arguments, the authors demonstrate their competence in the world of New Testament studies. But, additionally, they weave throughout the book insights into how fallacies within contemporary culture provide fuel for a thesis which long ago should have been buried. Believers will find in these pages inspiration to 'contend earnestly for the faith once for all delivered to the saints.'" "In recent times, certain media darlings have been telling us that earliest Christianity knew nothing of the 'narrowness' of orthodox belief. Now the authors of The Heresy of Orthodoxy have provided a scholarly yet highly accessible rebuttal, showing that what is actually 'narrow' here is the historical evidence on which this old thesis is based. In a culture which wants to recreate early Christianity after its own stultifying image, this book adds a much-needed breath of balance and sanity." "Köstenberger and Kruger have produced a volume that is oozing with common sense and is backed up with solid research and documentation. This work is a comprehensive critique of the Bauer-Ehrman thesis that the earliest form of Christianity was pluralistic, that there were multiple Christianities, and that heresy was prior to orthodoxy. Respectful yet without pulling any punches, The Heresy of Orthodoxy at every turn makes a convincing case that the Bauer-Ehrman thesis is dead wrong. 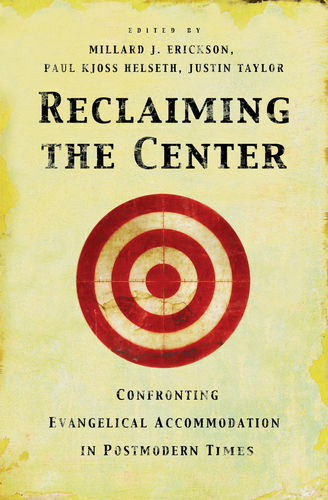 All those who have surrendered to the siren song of postmodern relativism and tolerance, any who are flirting with it, and everyone concerned about what this seismic sociological-epistemological shift is doing to the Christian faith should read this book."